Growing up in Portland, OR, some of my earliest memories included biking over the city’s bridges and hiking in the Columbia River Gorge. This strong connection to the outdoors is what makes me want to preserve it, and I'm excited to be part of a team working to make the future more equitable for everyone. 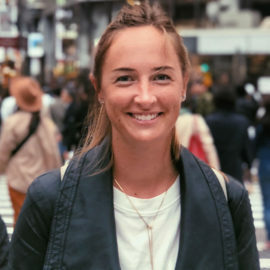 After graduating from Oregon State University’s New Media Communications and Writing program, Mackenzie worked in both the public and private sector before moving to Fiji to partner with the local community on sustainable development and marine conservation projects. She now serves as Alta’s Communications Specialist located in Portland, OR.